Rakesh Bedi, best known for his roles in TV shows like "Shrimaan Shrimati" and "Yes Boss", will next be seen as a Don in "Sahib, Biwi Aur Boss". Rakesh will be seen as the uncle of Anisha (Mugdha Chaphekar) who lives in Mumbai and is invited for a family visit by Vinod (Dhruv Singh). Vinod who has invited Don thinking it will be easier for him to win over Anisha is he will impress her uncle. Anisha’s uncle who has come for a visit just for a day will ask Anisha to take him to her office to show him around. And once there he will see Mandodari (Resham Tipnis) and will fall for her. Adding to Sunny ( Vipul Roy) and Anisha’s woes he will decide to stay back and win over Mandodari. However when he learns that Balma Pandey is his strong contender for Mandodari’s affections he decides to end the competition then and there. 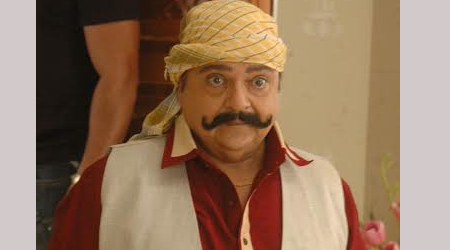 Rakesh Bedi who will be seen as a Don in SAB TV’s Sahib Biwi Aur Boss said, "I am happy to play the Don in the show. Working with SAB TV has always been a pleasure and I am really excited to play this new character on the channel. I thank channel and the team for considering me for the role,"